Juliette House BB i Verona, Italien : Boka nu! B&B Juliette House is only a 50 mt from the worldwide known Juliette's House. A lot of people from all over the world visit, every day the courtyard where to see the house of Capuleti, the statue and the amazing balcony. 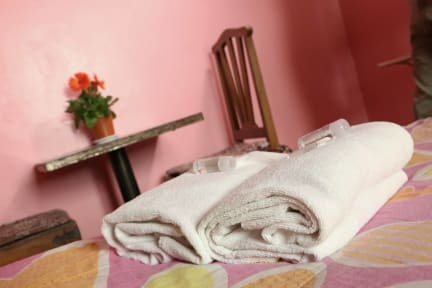 Our Bed and Breakfast is in the very middle of the town, at walking distance from main monuments like Piazza delle Erbe, the ancient Roman Forum, Piazza dei Signori, Cathedral, Roman Theater,Castle San Pietro, Castelvecchio. City Tax (2,50 euro per person per night) is not included in the price. Please note that after your booking the Juliette House B&B will do a pre-authorization on your card. If the credit card is not valid or not working, the reservation will be cancelled automatically and your deposit won't be refunded. Check in hours are between 13.00 and 18.00. Outside of this time window, we can not guarantee reception of our guests and in the case of reception, and extra €15,00 will be charged. The Check out needs to be done until 10:30 on the day of your departure. In case of cancellation after the given 48 hours or in case of no-show, the total sum of the booking will be maintained by the establishment.